This summer has been a hot, dry scorcher with more of the same on the way. There are some things that you can do to limit the effect this can have on your lawn. Moisture management and prior planning are the secrets here. In South Australia, most people either have a couch, a kikuyu or a buffalo lawn. These types of lawns are called Warm Season Grasses and as the name suggests, are right at home in temperatures we receive during summer. Hot weather can’t effect these lawns - they thrive in it so extreme heat doesn't phase them. What will phase them in hot dry weather is a poor level of moisture in the soil. Poor soil moisture leads to patchy lawns which often gets confused with lawn beetles and fungus problems. From years of diagnosing patchy lawn problems, I can confidently say that the lions share of issues arise because of water repelant soils. If you ensure that you have a good level of moisture to 75mm below the surface of your lawn, a heat wave like this won’t affect it. The lawn's roots will draw on the water in the soil and it will be business as usual. The trouble is that it is can be very hard to get water down deep where it is needed. The biggest tip I can give you here is – don’t assume your soil is wet down to this level just because you watered your lawn. It’s a logical assumption but none the less, one that can lead to trouble. You may not have watered for long enough or you may have a soil that naturally repels water (very common). The point is, you should spend some time to understand how your soil accepts and holds onto water because one thing is for sure, soil rarely wets evenly and often repels water all together. To test how effectively you are watering and how well your soil absorbs moisture, water your lawn as you usually would. Once watered, get a trowel and dig a small inspection hole. Do this in several places around your lawn and check if the water got down to 75mm. Pay particular attention to patchy areas. You may be surprised to discover that the water you applied penetrated less than 10mm which is a real issue when high temperatures quickly dry the soil out. Depending on what you discover, more water may be required until a deep soak can be achieved. The wetting agent will make sure that any water you apply penetrates evenly and quickly. I strongly recommend regular applications of liquid wetting agent such as Paul Munns Betta Wet in the cool part of the morning. Liquid wetting truly is the tonic of life for lawns during summer - its one of the most important things you can do for your lawn. Once you have ensured your soil wets evenly, you'll be surprised at how well your lawn responds. It will grow deeper roots (because there is water deeper in the soil) which leads to greater lawn health and greater dought tolerance. 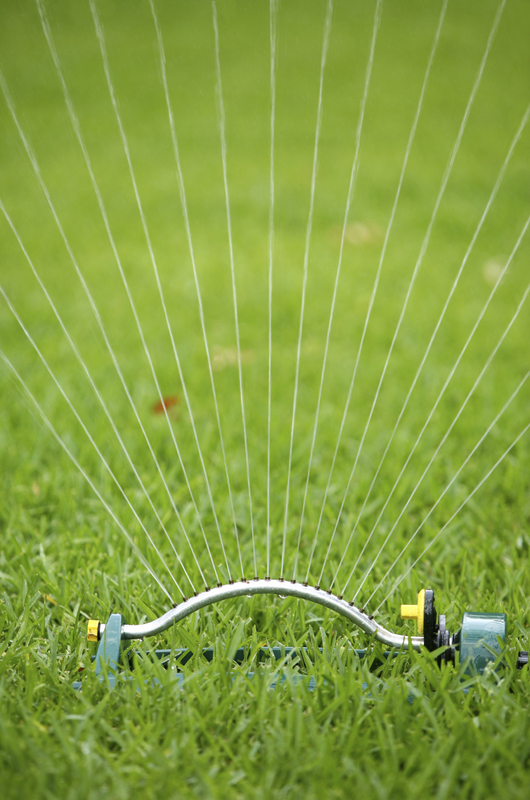 In time, your lawn will need less water, even when temperatures get hot.